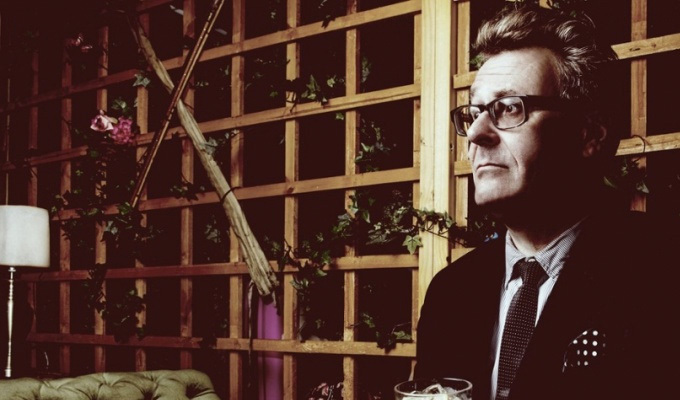 Greg Proops is coming to the Glasgow International Comedy Festival to record an episode of his Smartest Man In The World podcast at Saint Luke’s Friday 18 March 20.00. It’s just Greg Proops and you. There’s no fan fare. Proops take centre stage at a small table and chair setup with a single microphone. Then he’s off. An hour of great two-way conversation into the lecture-style format of a one-way conversation.